In celebration of Harmony Day a new mosaic has been created by the community and students of the local area. 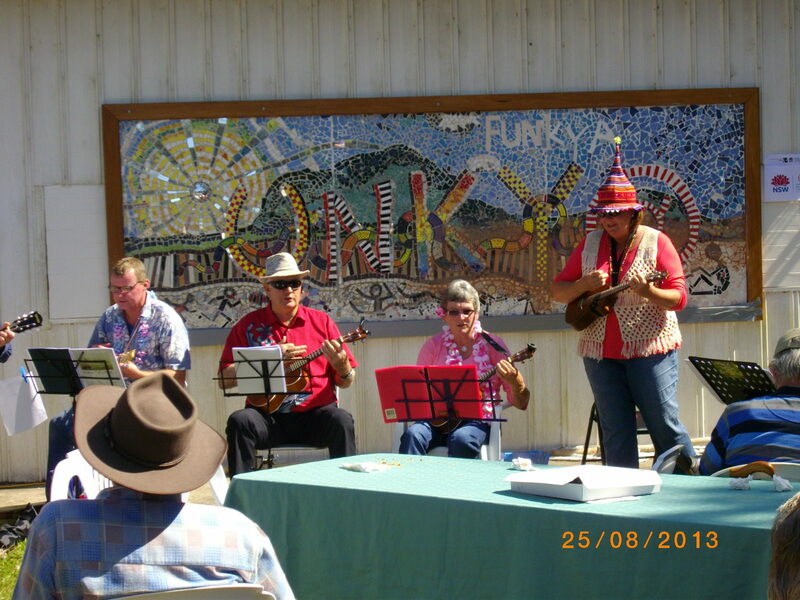 The mosaic was officially displayed at the Funkya@Unkya market on Sunday August 25 2013. It was inspired and created by well known and local mosaic artist Guy Crossley. Guy’s work can be found in many public spaces in the Nambucca Valley including Scotts Head, Nambucca Heads and the Pines Picnic area at Way Way Forest. Initially funding was received through the Community Arts Support Program for the Unkya Reserve Committee of Management’s “Harmony Tree Project” with additional funding received from the Community Relations Commission. The project provided an opportunity for the small communities surrounding Unkya to celebrate Harmony Day and also involved the small schools of Eungai, Stuarts Point and Scotts Head. The mosaic is now displayed at Unkya Reserve permanently for everyone to admire.